Spectator, Hamilton. “French-Canadian Loyalty Demonstrated At Montreal.” 1942/08/14, 14 Aug. 1942, p. 1. Granatstein, J. L. and Dean F. Oliver. 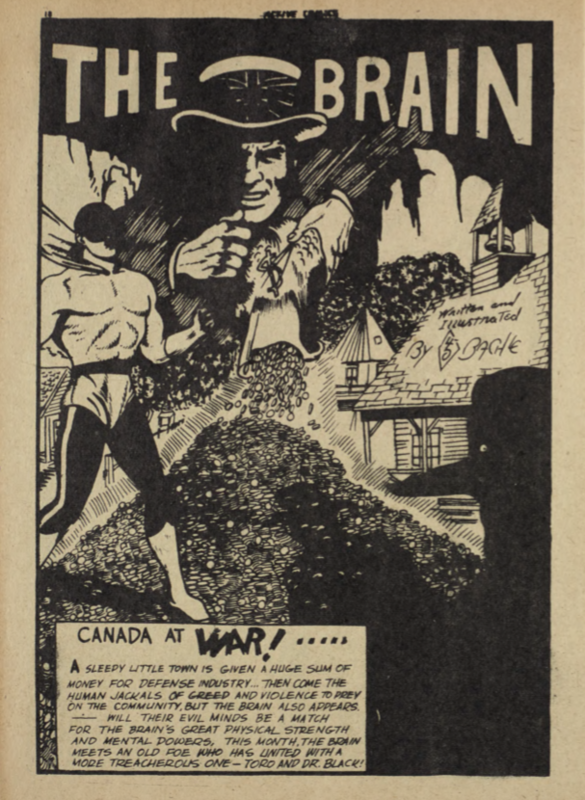 “The Canadian Home Front in the First and Second World Wars” Canadian Military History, 16 June 2015. Scholars Portal, http://scholars.wlu.ca/cgi/viewcontent.cgi?article=1672&context=cmh. Legault, E.T. (w) and M. Karn (a). 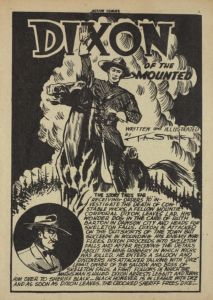 “Dixon of the Mounted, Thunderfist, and Active Jim’s Monthly Messages.”Active Comics, no. 1, May, 1943, pp. 1-28. Canadian Whites Comic Book Collection, 1941-1946. RULA Archives and Special Collections, Ryerson University, Toronto, Canada.